Callum Gough, SVP Operations of Exel Composites has written an article in the internal magazine Exelink, which is distributed into the whole Exel Composites group. The article was included in the summer edition of the magazine and explains that the factory located in Oudenaarde (Belgium) hosted and worked with reasearchers from the other two partners of the project (Universitat de València and Pure Air Solutions) to carry on the research work in which Exel participates. 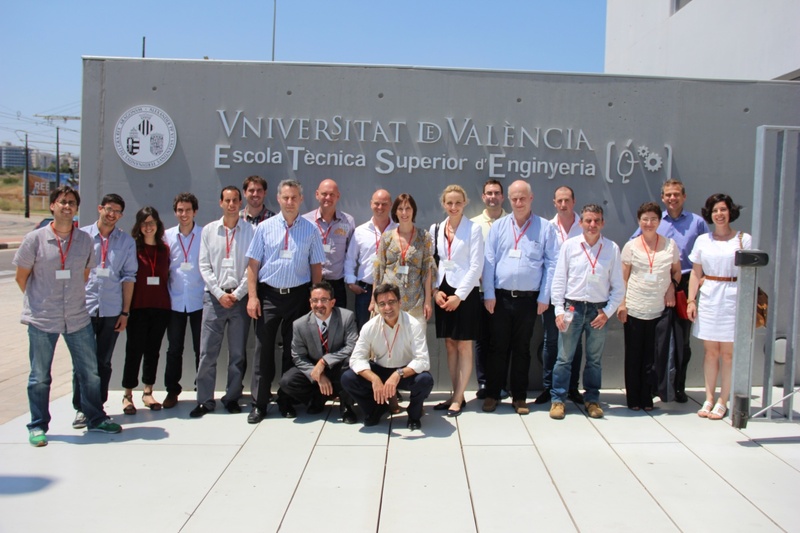 It highlights the importance of the Next Air Biotreat project with its good outcome although only 50% of the time to go has been reached, and it also points out that the mid term review held in the Universitat de València last July (see picture) was a good oportunity to meet everyone and to share the results obtained.